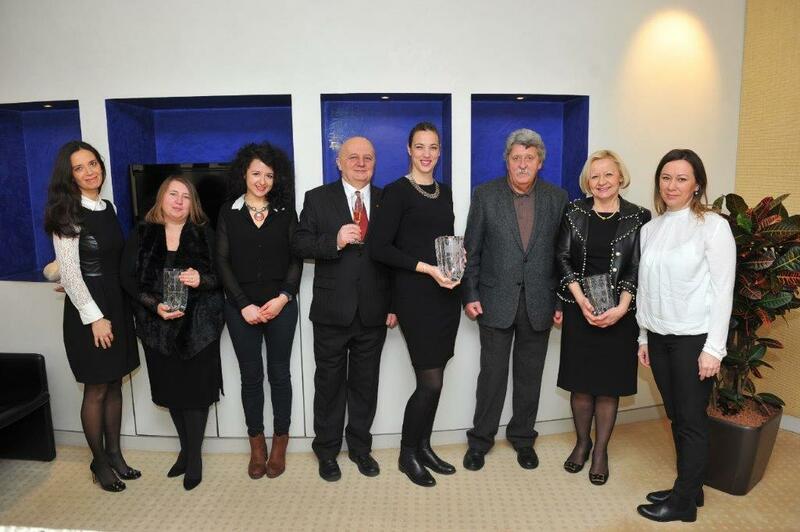 Ivan Dropuljić, organizer of the biggest wine exposition in Croatia – Vino.com festival that is held annually in Zagreb – presented awards to Agrolaguna, Belje and Mladina. These three Agrokor companies were awarded on the occasion of ten years of fruitful cooperation, but also to thank for the support that these vineries gave to the project from the start. Vino.com is the biggest wine festival in Croatia which started 11 years ago and it has been since successfully promoting and presenting wines to domestic consumers and wine enthusiasts. The importance of this event for the Croatian wine scene is best illustrated by the fact that the last week of November every year is reserved for the Vino.com festival in the calendars of every relevant winemaker, sommelier and wine trader in the country. Numerous visitors of this two day event gather from all regions of Croatia, from Dubrovnik to Istria, Slavonia and Danube region. 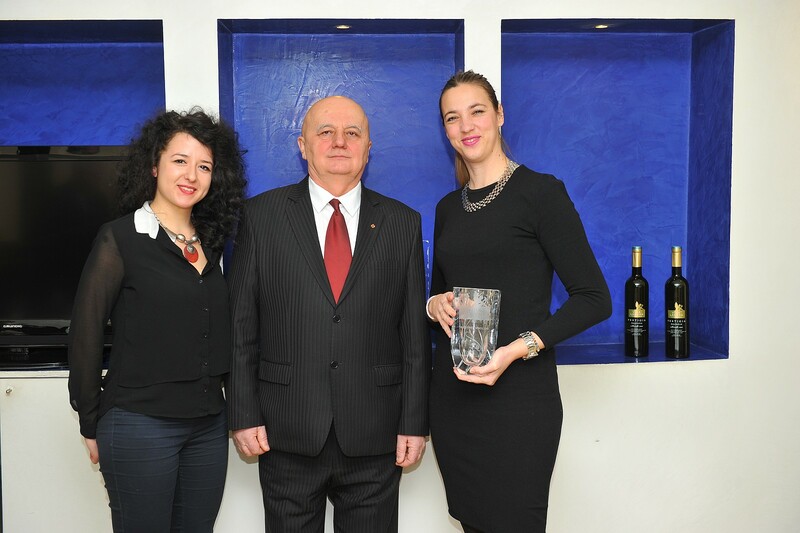 Ivan Dropuljić said on this occasion that Agrokor’s vineries made a significant improvement and that they, by investing in quality and adapting their wines to leading trends in the world, have transformed from local vineries into one of the leaders in wine making in Croatia. He also emphasized: “The first several years were extremely demanding. We needed to animate Croatian wine makers, as well as the audience, to come to Zagreb and discover the potential of our wine offer. The vineries that are part of the Agrokor Group, that were at the turning point of their business path decided to invest in quality and were one of the first festival partners and exhibitors that have been with us continuously for ten years and I congratulate them for their persistence in promotion of high quality wines from Croatia, especially Graševina and Malvazija. “After ten years of investments in vineyards, technology and knowledge, Agrokor can, without any doubt, be proud of the wines we can offer to consumers. What was most important is that these wines have premium quality, as well as the need to respond well to the changing trends, consumer habits and expectations. 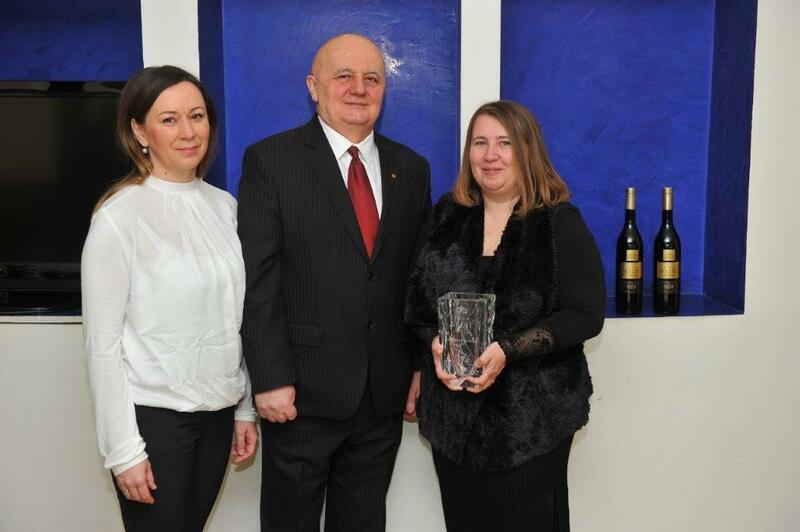 I believe that we have succeeded and without false modesty, we expect to achieve a successful result of our wines in foreign markets in the next period as well.”, said Ljerka Puljić, Member of the Supervisory Board in Agrokor, when thanking Ivan Dropuljić for the awards. By building a brand new cellar and renewing its vineyards, Belje vinery succeeded to raise the quality of its Graševina to the level of the finest white wines in the world when it comes to freshness, lightness and richness in flavor at the same time. Red wines, with a series of awards they have won, have confirmed that the terroir of Baranya alongside Danube is one of the best for sorts such as Merlot red, Pinot and Frankovka. On the other side of Croatia, Agrokor’s Agrolaguna, famous for authentic Istrian sort Malvazija Istarska, by investing heavily into knowledge and technology managed to establish Malvazija as a serious, yet trendy wine. This was not an easy task considering Malvazija’s previous image. Joining Vinistra, an association of wine makers who invested into marketing was also a significant move and managed to promote Istrian wines as one of the finest wines in this part of Europe. The Agrolaguna cellar has, in the past 10 years, together with excellent vineyards, succeeded in creating red wines that are the synonym for wine cellar in the past 10 years. For instance, Blends Castello and Terra Rosa, became synonyms for red wines from Poreč area, each in its respectful category. In Plešivica, another area in Croatia, Agrokor’s Mladina developed sparkling wine production and joined the wine makers from that part of the country in their efforts to brand it as “Champagne of Croatia”. Even though the production only started recently, Poj sparkling wine is already receiving both good grades and good sales results on the domestic market.